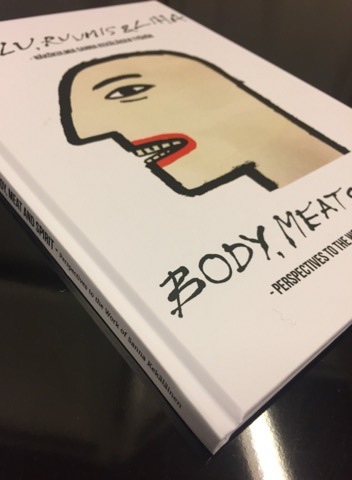 Kekäläinen & Company has published a book Body, Meat & Spirit – perspectives to the work of Sanna Kekäläinen! It is a collection of photographs and six essays written by dance researcher Riikka Laakso, philosopher and writer Olli Ahlroos, fine artist, author and director Teemu Mäki, reseacher Maria Svanström, Doctor Anu Laukkanen… and me. You can order this bilingual (Finnish & English) work of art from Books on Demand either as a hard cover or as an ebook. Plunge deep into the world of Kekäläinen in good company! Read the combined review of the book and Kekäläinen’s latest performance Hullut/Insane from Helsingin Sanomat.